Hey everyone! Hope you are all having a lovely day! May The Fourth Be With You! I know you're probably sick and tired of hearing that but hey, it has to be said! 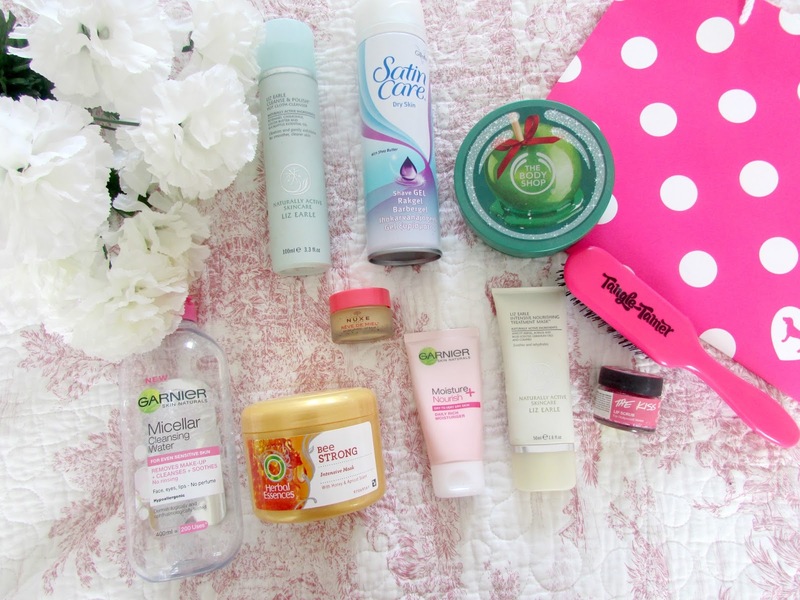 Anyway, today I thought that I would talk to you all about some of my beauty essentials that I have to use everyday. The majority of it is skincare but I have included haircare and a couple of make up bits and bobs as well. These are basically a list of things I need in my life and I couldn't go without. Enjoy! This is perfect for those days when I am wearing very minimal to non make-up. I just put some of this on a cotton pad and then wipe it all over my face. I find this just removes any make up I have and gives my face a good enough cleanse before bed. It's just an amazing product. 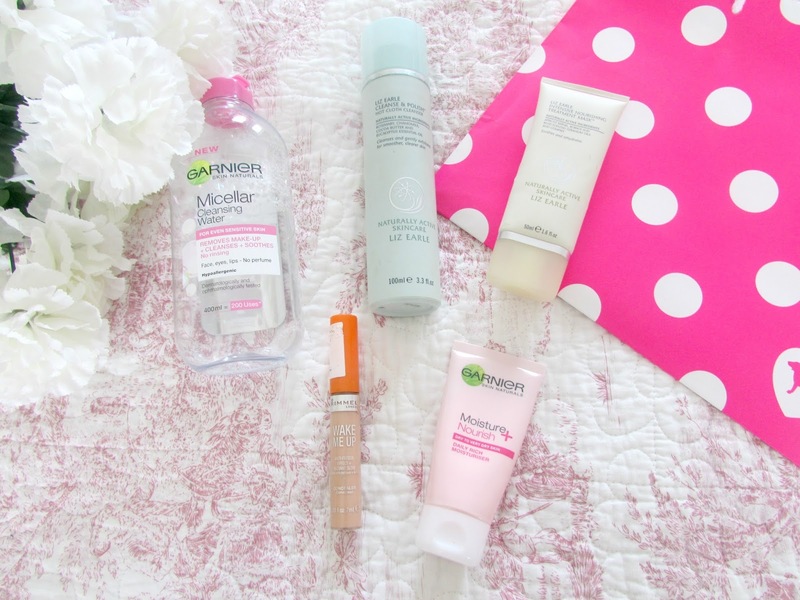 It's also a perfect dupe for the cult micellar water, Bioderma. So definitely get your hands on this if you can as it'll be a lifesaver if you're perhaps having a lazy skincare day (we all have them now, don't lie). When it comes to skincare for me Liz Earle can do no wrong. I absolutely love their cleanse and polish as it really does remove every scrap of make up from my face and really does leave my skin in such good condition. The bottle photographed is probably my 9th bottle of it, I just absolutely love and I would highly recommend it if you haven't used it yet. One of the best cleansers ever. I then follow up with the Intensive Nourishing Treatment Mask which I recently reviewed HERE. I absolutely love this mask as it just makes my skin feel so incredibly soft and really does improve the texture of my skin and makes a pretty much near perfect canvass when applying my make up. I just love it. This stuff is by far one of the best moisturisers I've ever used. It's just incredible and really does help the dry patches on my skin and again improves the texture of my skin making it super easy for my make up to just glide on. I just love it and I don't even know what else to say about it really but if you have dry to very dry skin then I would highly recommend this as it'll do wonders. I can go without most make up products on a daily basis however the one I just cannot live without is concealer especially the Rimmel Wake Me Up one. I just absolutely love it. I get really dark circles under my eyes and I just find that this is absolutely amazing for just brightening the under eye area and clearing up my dark circles. I don't tend to use this on blemishes as I find this can draw more attention to them due the brightening properties but for under eyes it's amazing. Can't live without it! This is probably extremely an odd product to include in this post as you don't really see many shaving gels being spoken about on blogs but I absolutely love this one. This one is specially formulated for dry skin and I absolutely love how my legs feel after I've used it. They are just so incredibly silky smooth afterwards and I absolutely love the look and feel of them. Definitely one of the best shaving products that I have ever used. I've included the glazed apple one in this post as an example but in general the body shop body butters are just incredible. I cannot live without them as they are so incredibly hydrating and they all smell absolutely delicious too. The glazed apple one I'm currently using is definitely my second favourite scent after the mango one but this was out as a seasonal scent for Christmas. I really hope they bring it back this year as I will definitely be stocking up this time. It just smells incredible! My lips get ridiculously chapped and dry no matter what time of the year it is. It comes to the point where I sometimes bite the skin off which is absolutely horrible and disgusting however I find rubbing this over my lips before brushing my teeth really does remove all the dry skin and leaves them feeling really smooth as well. Literally the most amazing lip product I have ever used. It's just so incredibly hydrating and really prevents lips from drying out. I prefer to use this overnight instead of during the day as I do think it's too thick to wear during the day but leaving it overnight on the lips really does work wonders on them. I absolutely love it and would highly recommend it. Hair masks have never really been something that I have never really used before however after seeing Nicole Sherzinger be the face of the range on TV I knew that I wanted to try the products, her hair is just amazing! I haven't been left disappointed. My hair is left in such good condition, it looks and feels really healthy and shiny and it's also left with an absolute incredibly scent too! I just can't live without this product anymore. Now I know everyone raves about the tangle teezer but I have honestly never been able to get along with it. I don't know why but it just doesn't work. I spotted this tangle tamer in boots and I absolutely love it. It really gets all the tangles out of my hair whether it's wet or dry and never ever seems to hurt either. I absolutely love it and I think it's cheaper than the tangle teezer too so maybe give this a whirl if you're intrigued. I absolutely love it. This is my second hairbrush as the other one was getting a bit worn out but it's just amazing. So these are my beauty, skin and hair essentials. 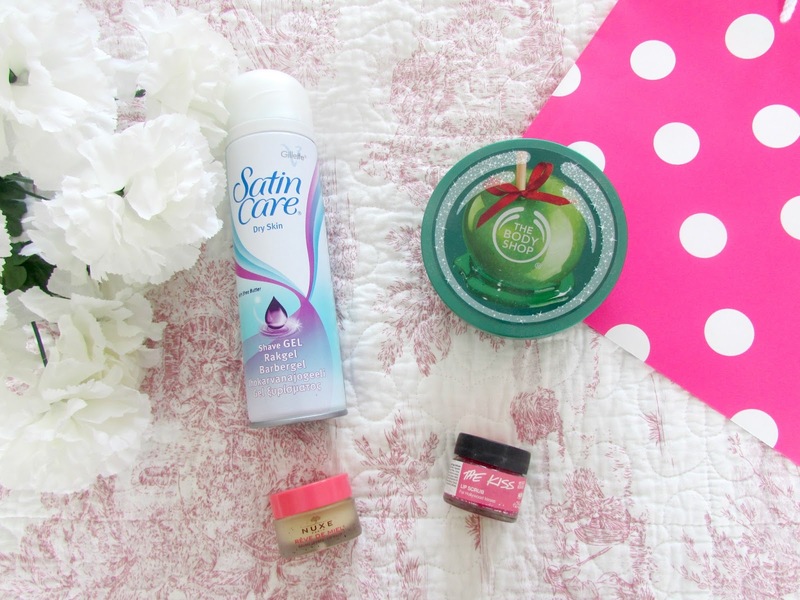 I absolutely love everything here and I have been using them religiously as they are just super amazing. If you haven't checked them out before then I'd highly recommend it as they are all super affordable with the exception of the Liz Earle products that could be a little pricey. If you have tried any of these products make sure to leave in the comments what you thought. If you didn't like anything here tell me why as I always love to hear why people don't like something. 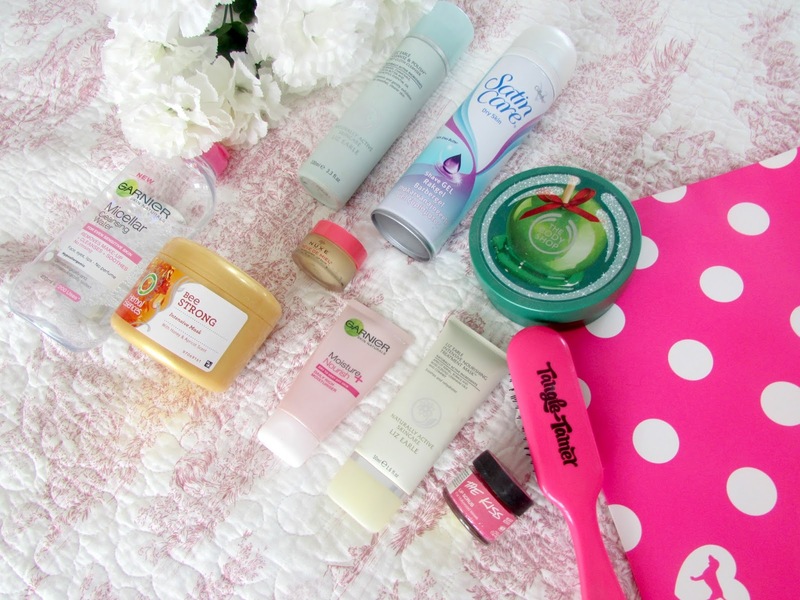 What are your beauty, skin and hair essentials?